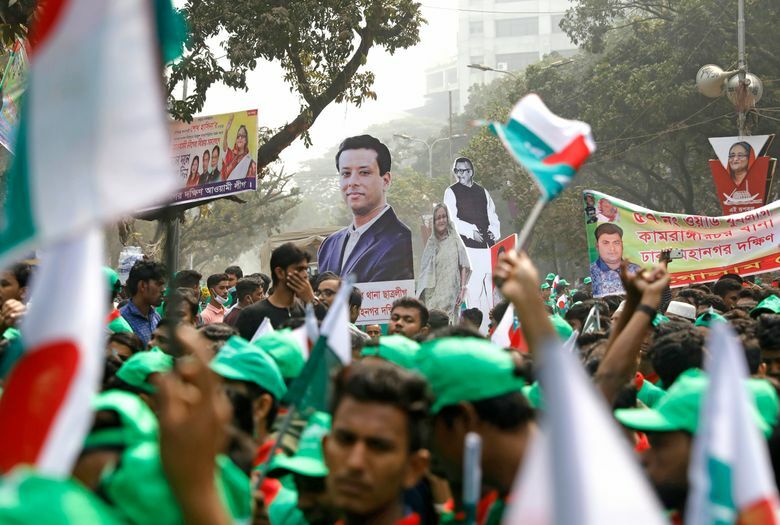 DHAKA, Bangladesh (AP) — Bangladeshi Prime Minister Sheikh Hasina, who won a third straight term with an overwhelming majority in last month’s election, sought the people’s support at a victory rally Saturday amid international calls for an investigation into alleged irregularities during the polls. 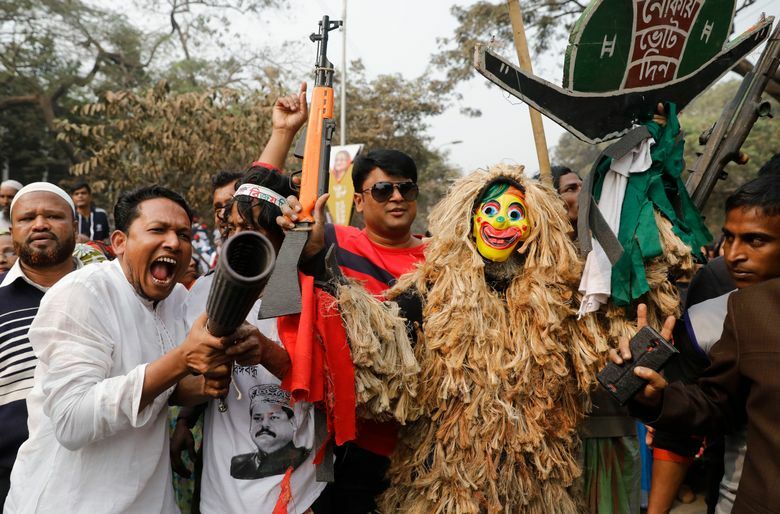 The opposition is demanding a new election, saying the Dec. 30 polls were rigged, an allegation the Election Commission and Hasina have rejected. On Saturday, Hasina told tens of thousands of her supporters in a park in Dhaka, the capital, that she would “work for all” amid criticism that she could become increasingly authoritarian. A Hasina-led alliance won 288 seats in the 300-seat Parliament in the election. The opposition-led alliance won only seven seats, with all of its lawmakers refraining from taking their oaths to protest the results. More than a dozen people were killed in election-related violence on the day of the polls, and the election campaign was dogged by allegations of arrests and the jailing of thousands of Hasina’s opponents. 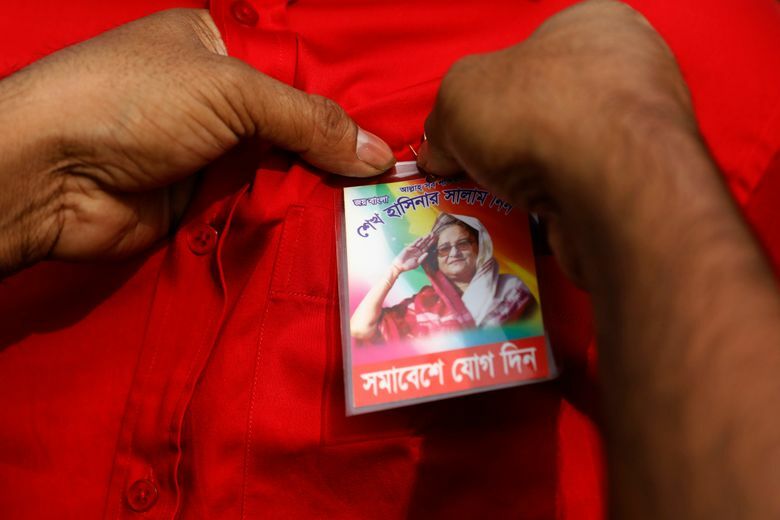 Hasina’s archrival, former Prime Minister Khaleda Zia, has been in jail since February last year for corruption and was deemed ineligible to run for office because of a case that her supporters say was politically motivated. The Election Commission and other departments were also accused of overlooking complaints of irregularities by the opposition. Ahead of the election, a new digital security law was enacted that raised concerns it would curb speech and media freedoms. But she would not utter a single word Saturday about the opposition demand for a new election or global calls for an investigation into the allegations of irregularities. 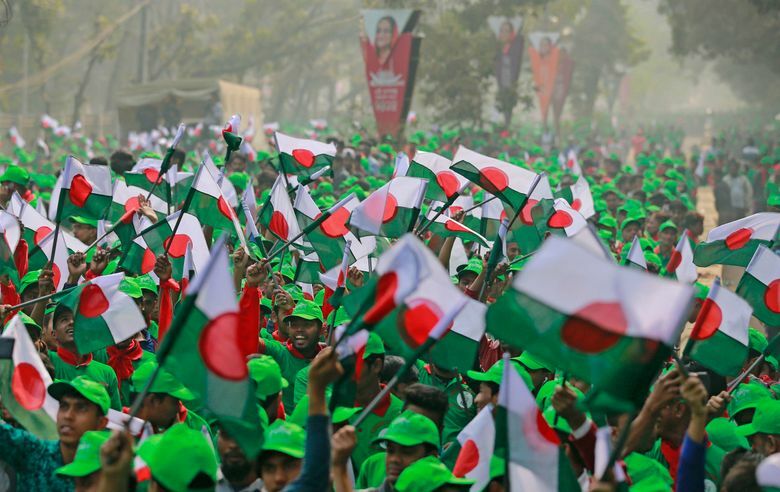 “I want cooperation from the people … let’s get united and build Bangladesh,” she told her cheering supporters, many of whom waved small red-and-green national flags. While New York-based Human Rights Watch urged an independent investigation into the alleged irregularities, the U.S., the EU and the U.N. all expressed their concerns. But powerful countries including the U.S. pledged to continue to work with the Hasina-led government and the opposition for democratic advancement in the South Asian nation of 160 million people, which is a parliamentary democracy. Congratulatory messages to the new government came from India, China, Saudi Arabia, Japan and many other countries, giving Hasina confidence that her development agenda has attracted nations, many of which are directly involved in trade and big infrastructure development schemes in Bangladesh. Before the election, Hasina drummed up support for her development schemes ranging from a nuclear power plant to a new seaport. On Saturday, Hasina promised to curb poverty as she painted a scene of “a developed country in South Asia” by 2041.